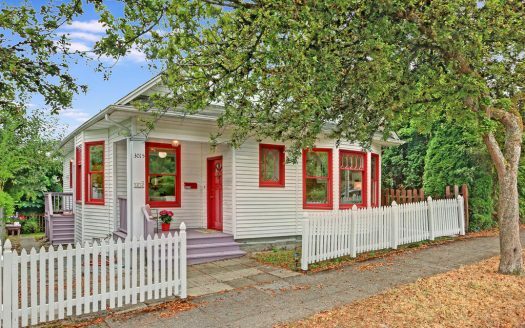 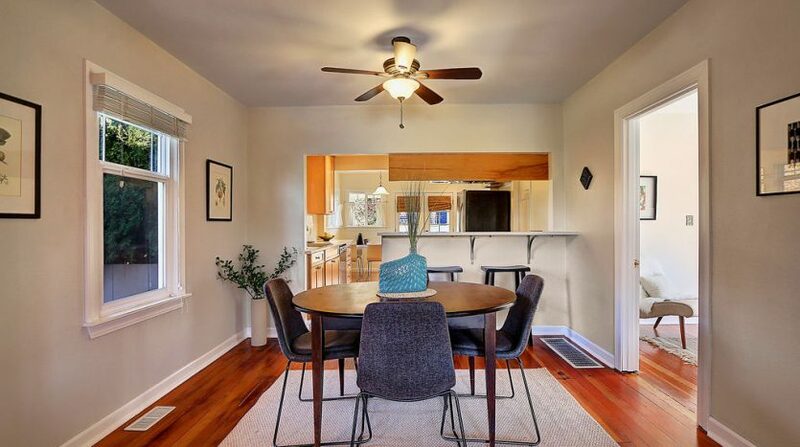 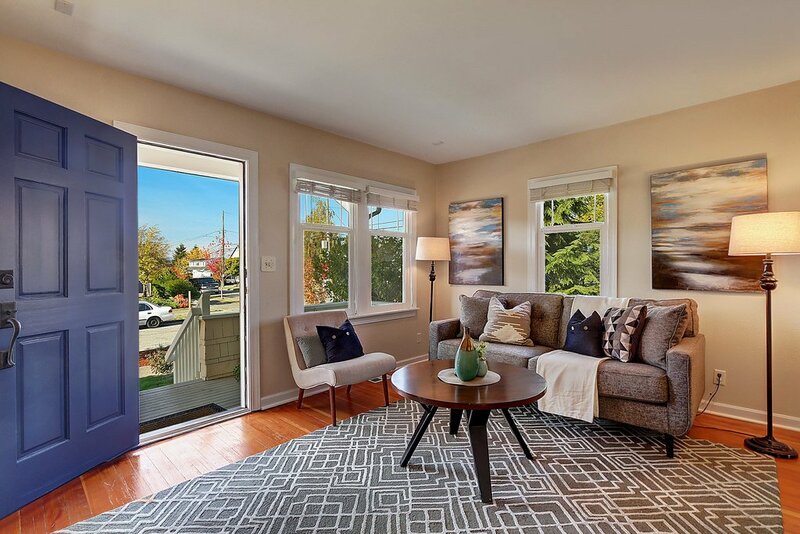 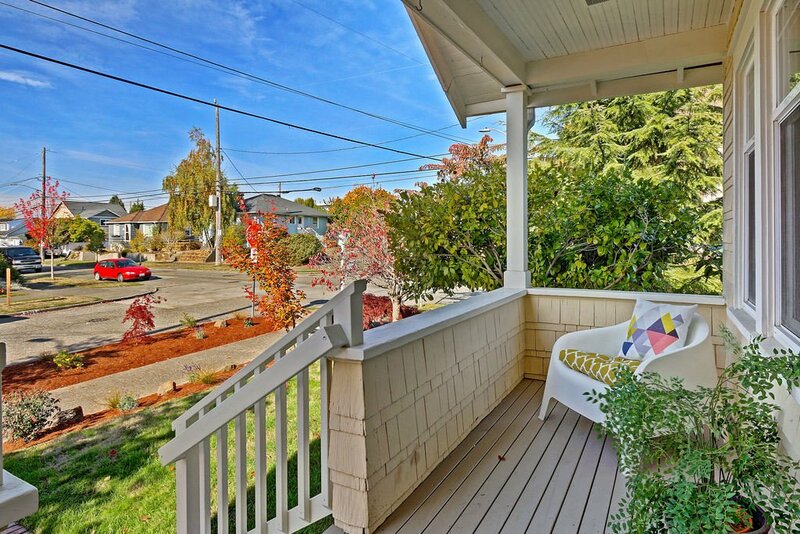 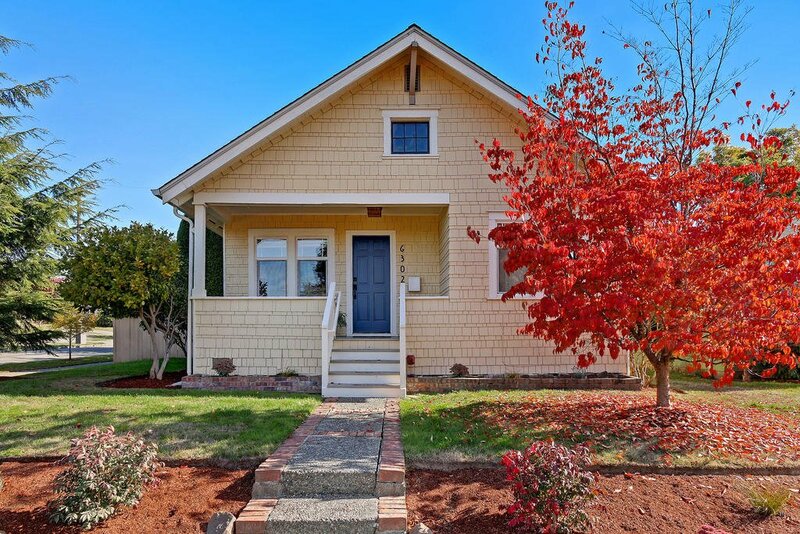 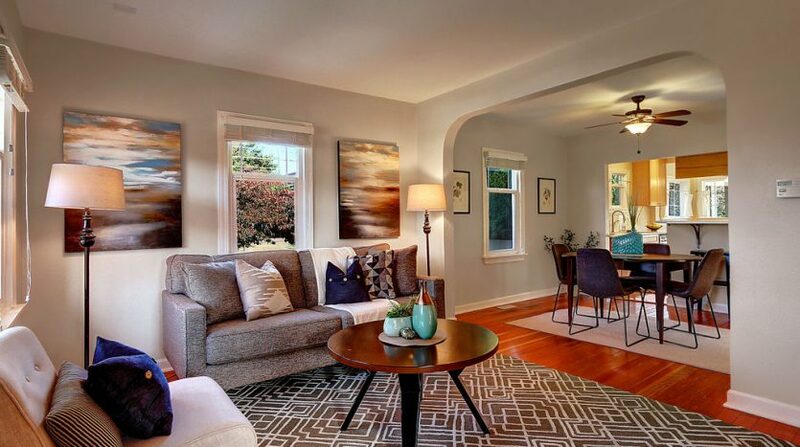 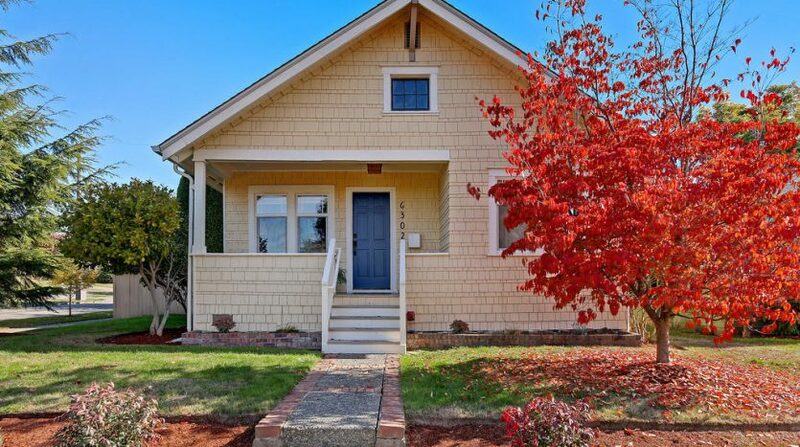 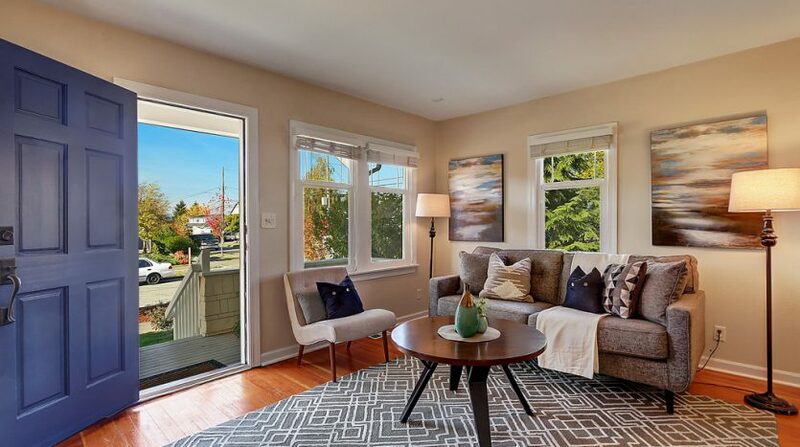 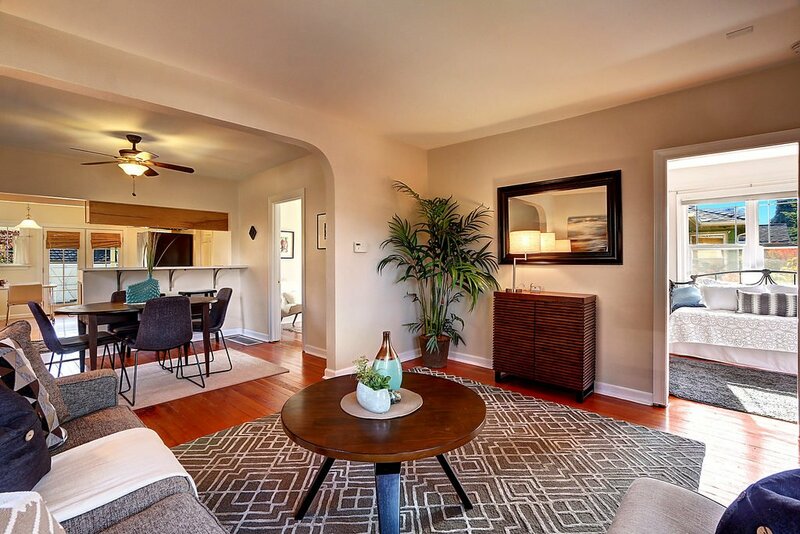 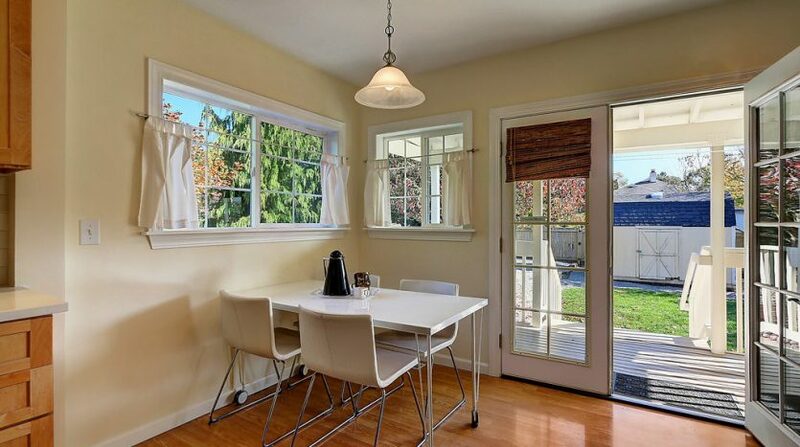 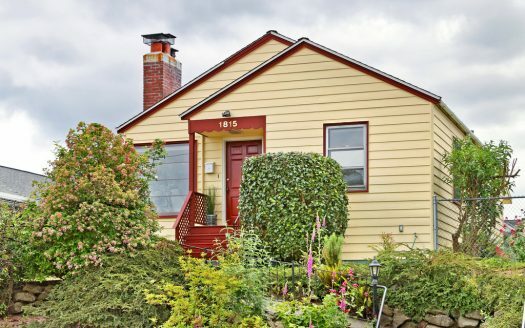 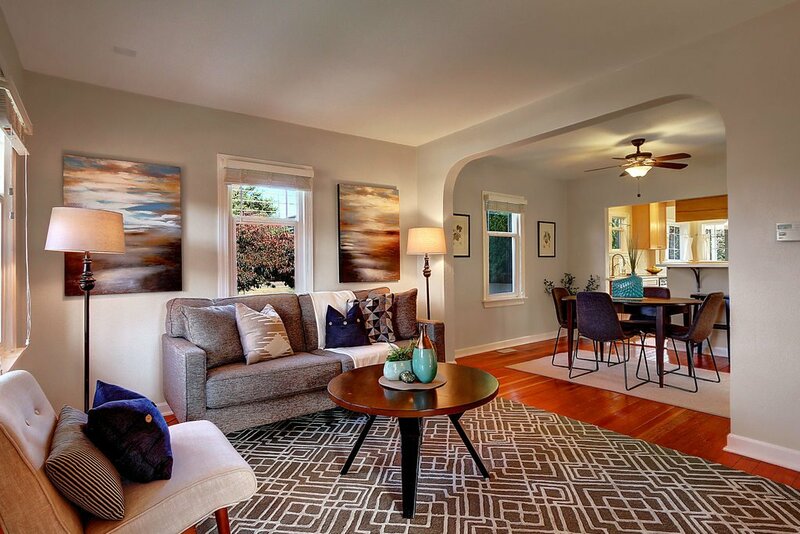 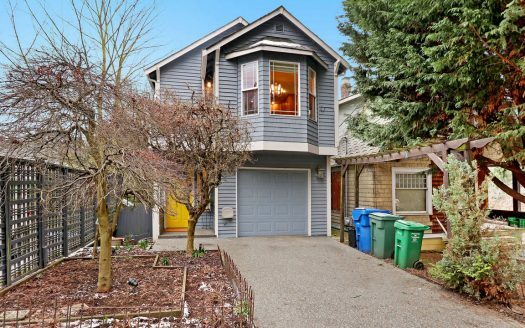 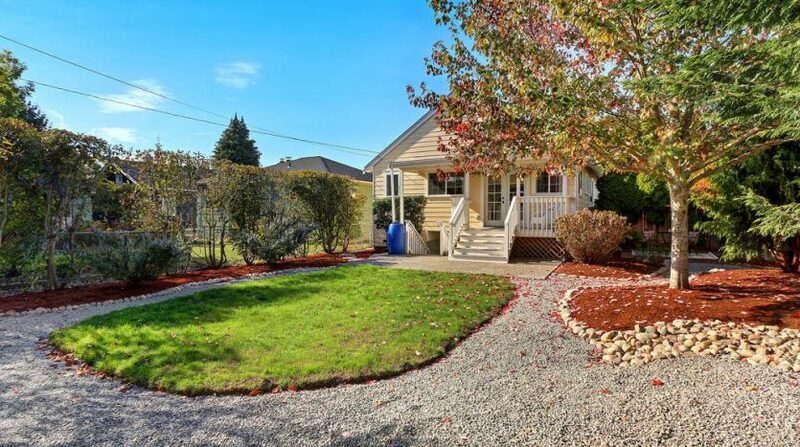 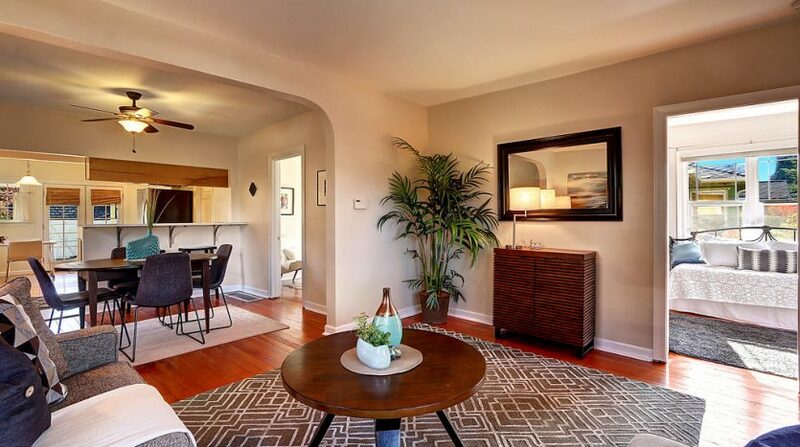 Charming Crafstman-style bungalow. 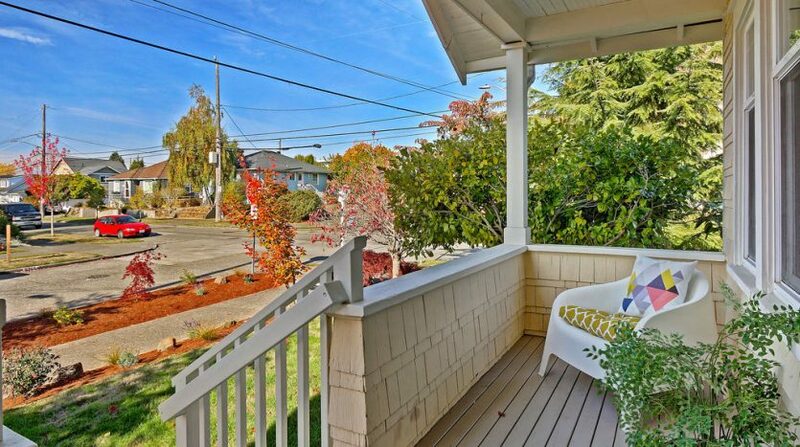 Covered front porch for sitting out. 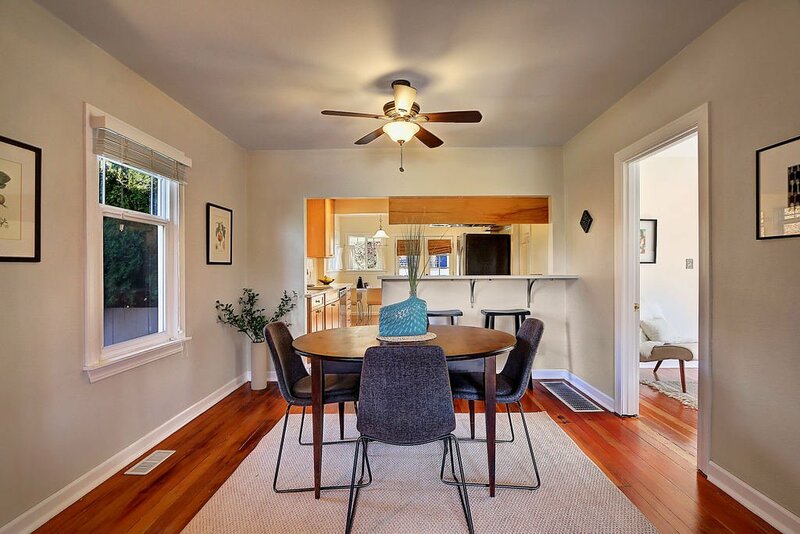 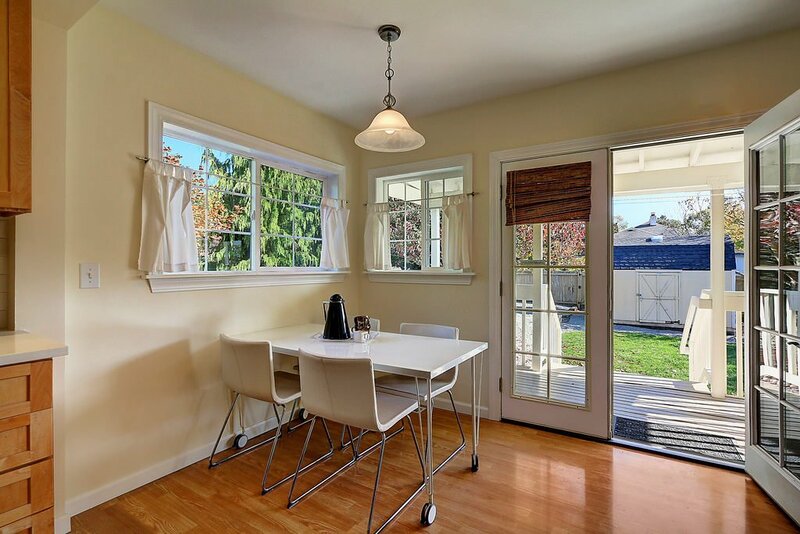 High ceilings, crown molding, fir floors, and 5-panel doors. 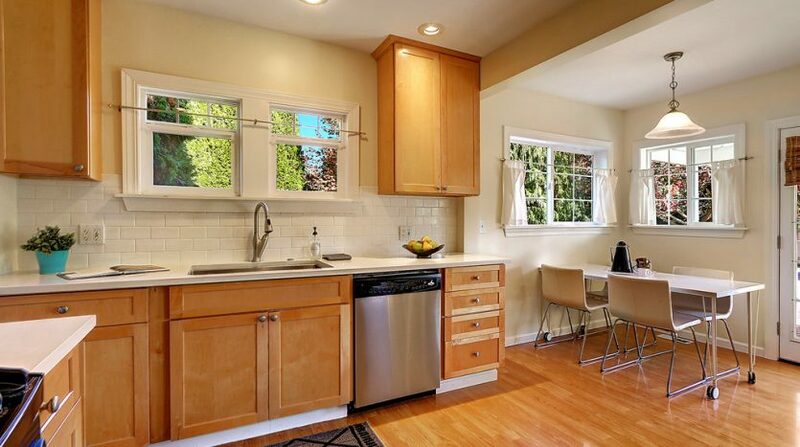 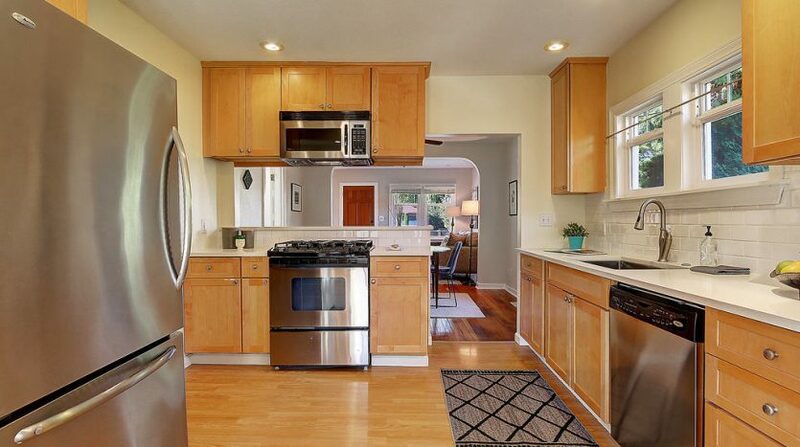 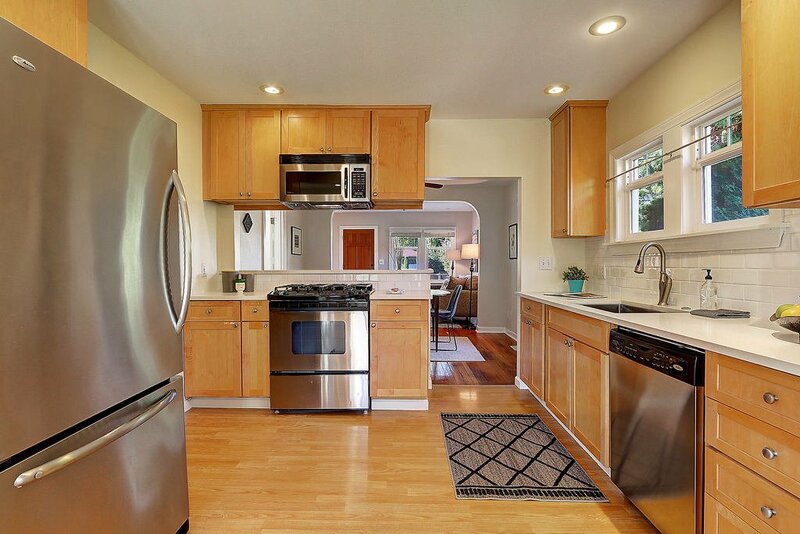 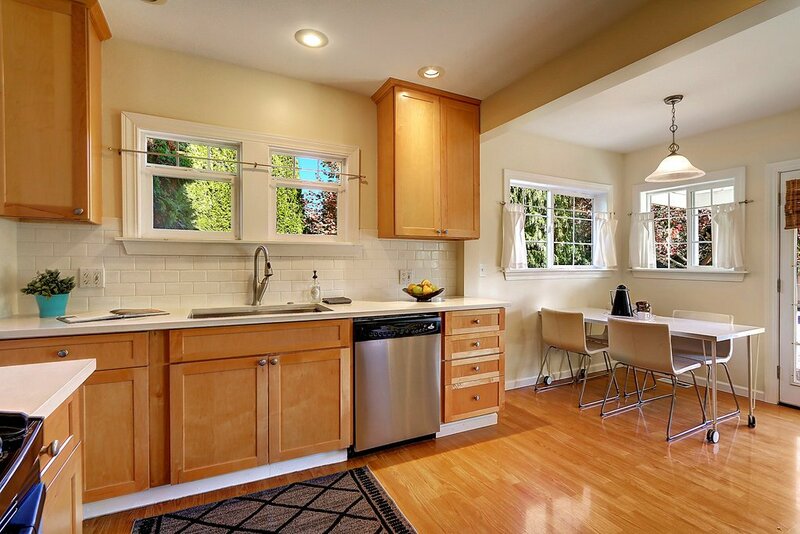 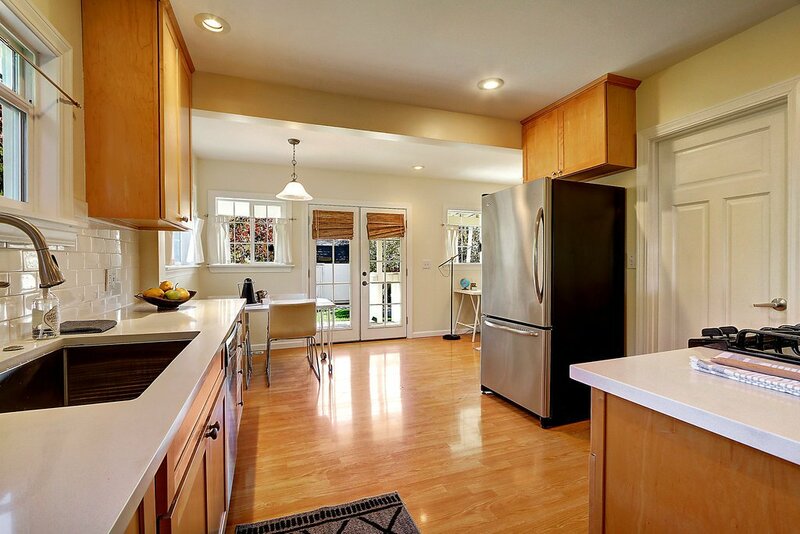 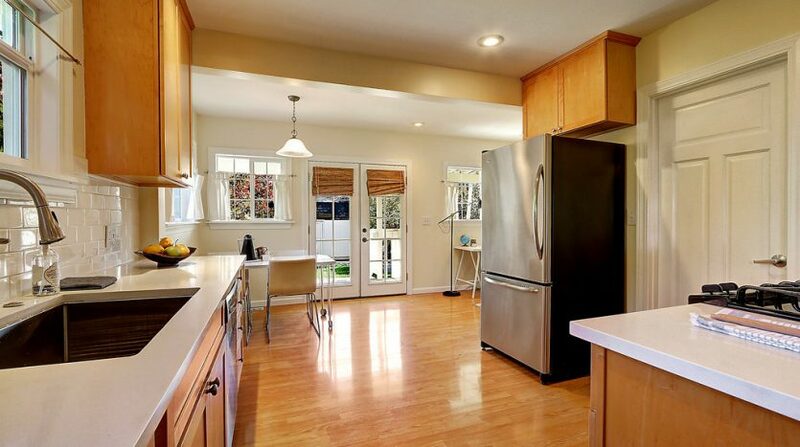 A remodeled kitchen with quartz counters, stainless appliances, and gas cooking. 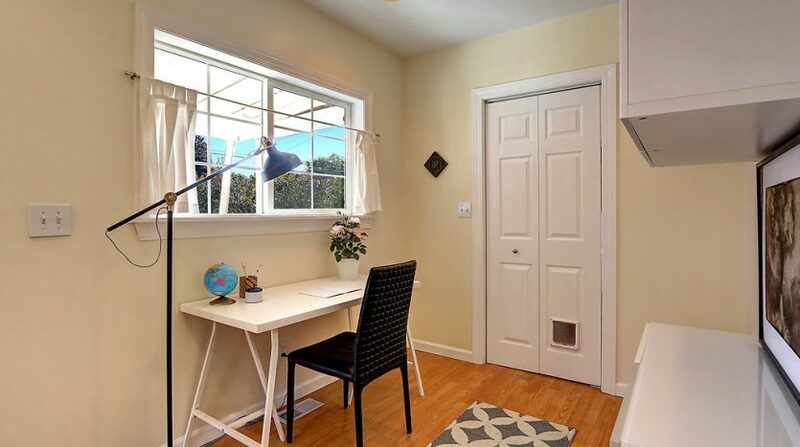 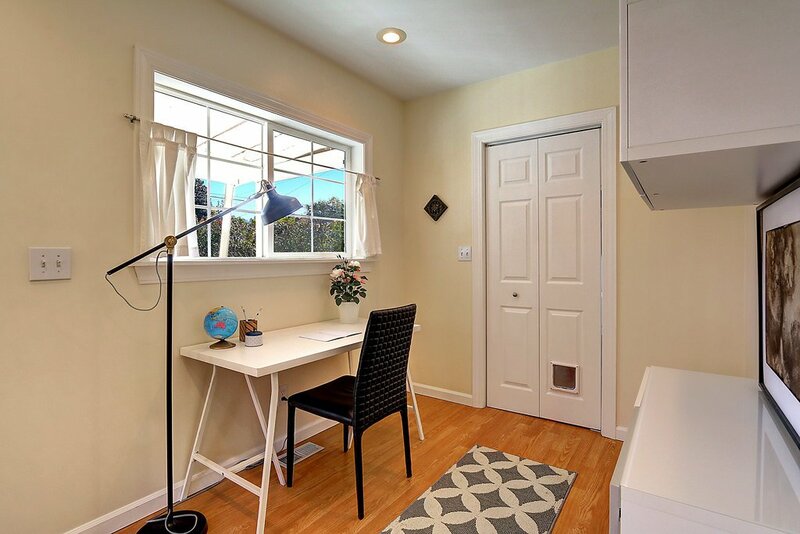 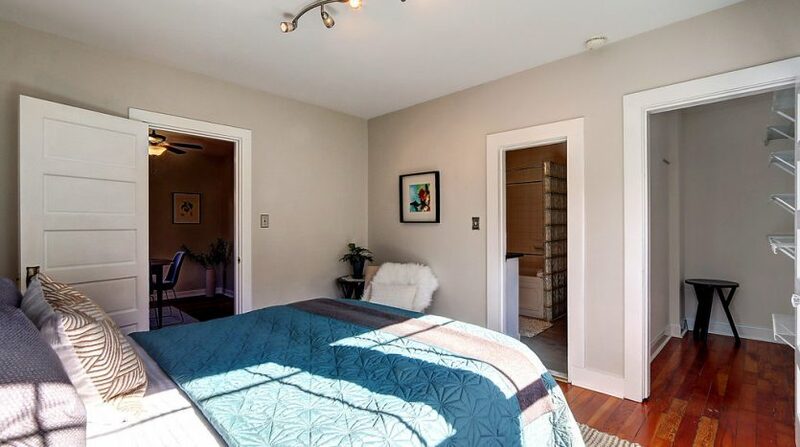 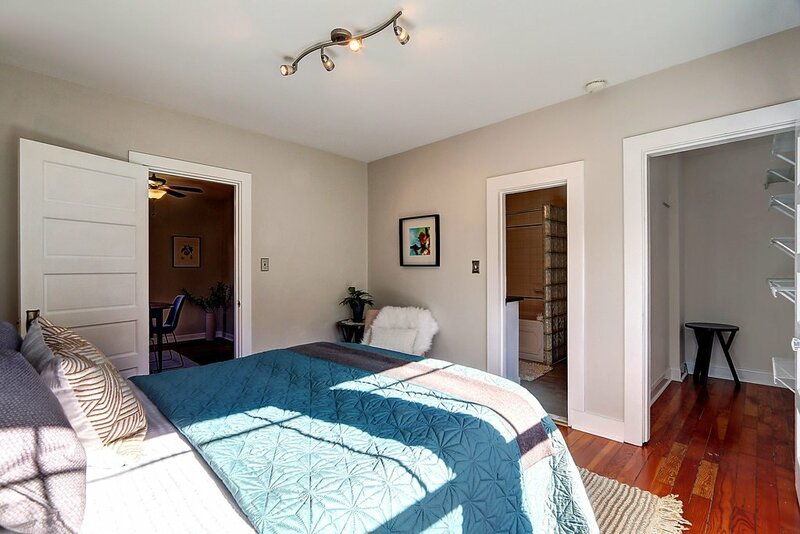 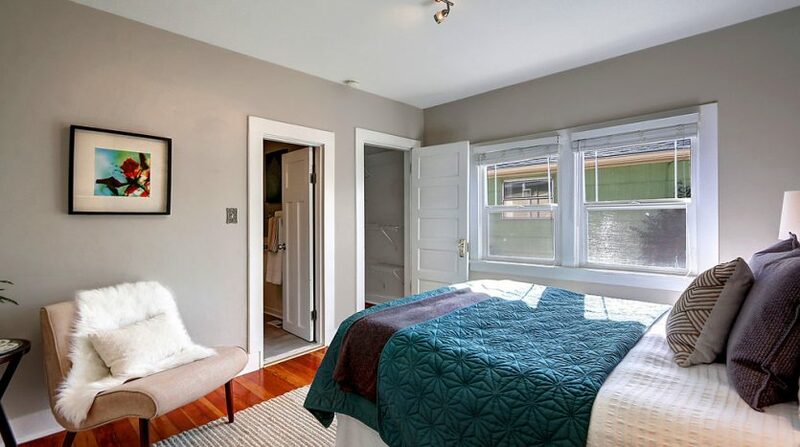 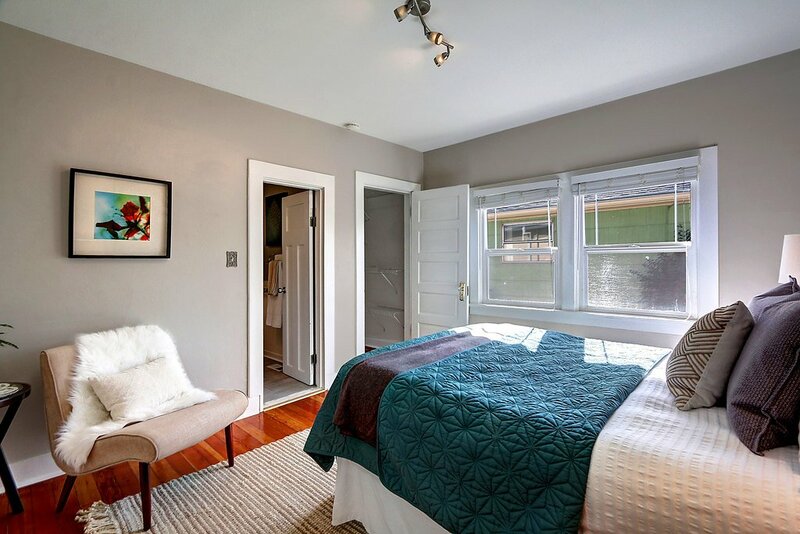 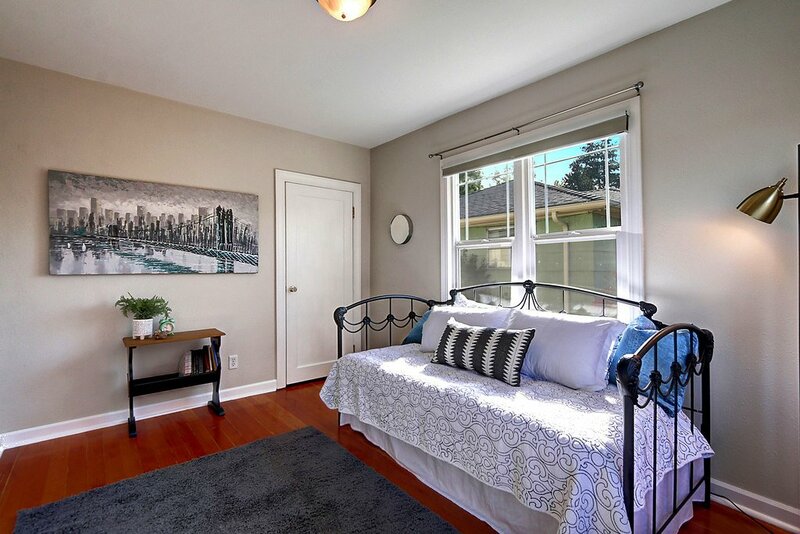 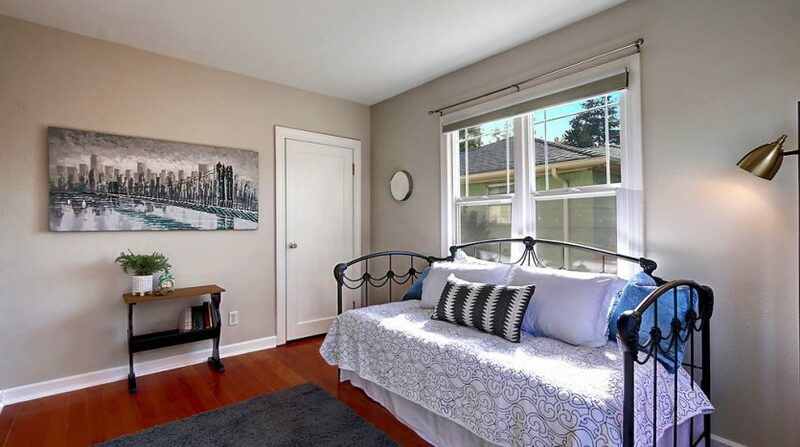 Two spacious, light-filled bedrooms with walk-in closets. 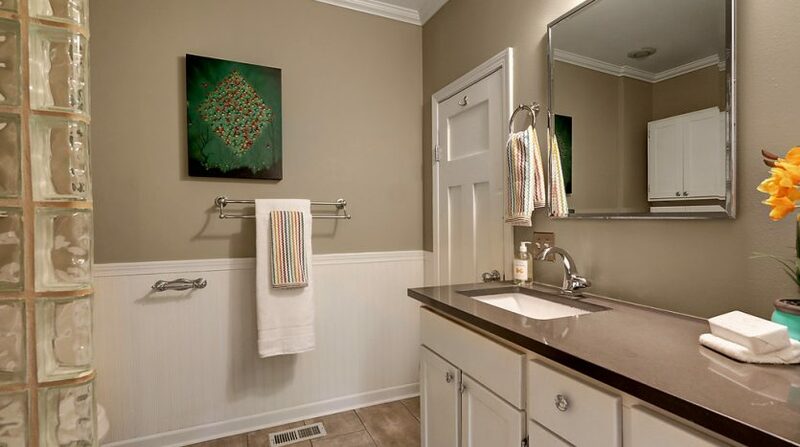 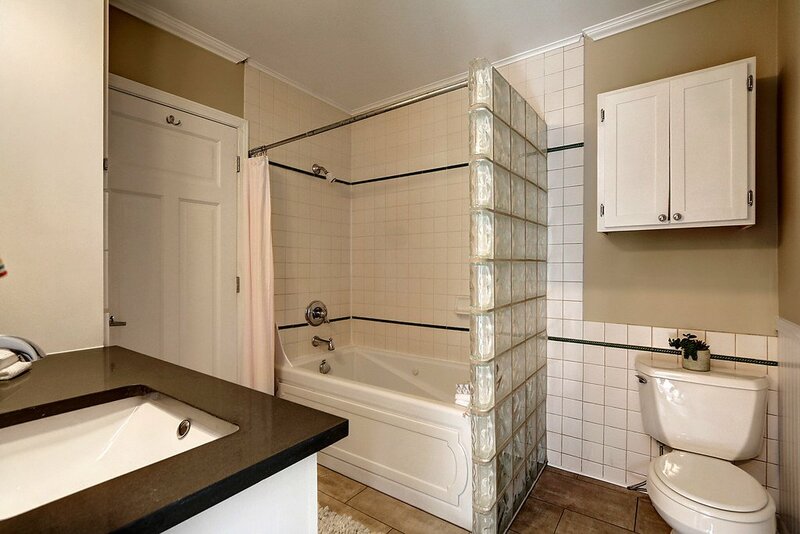 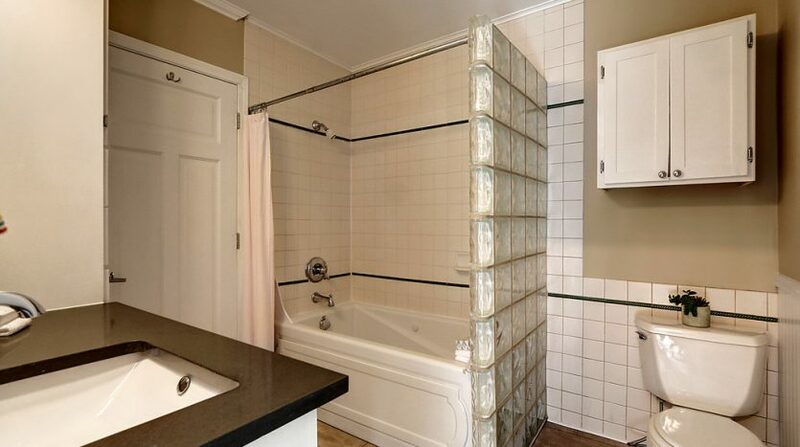 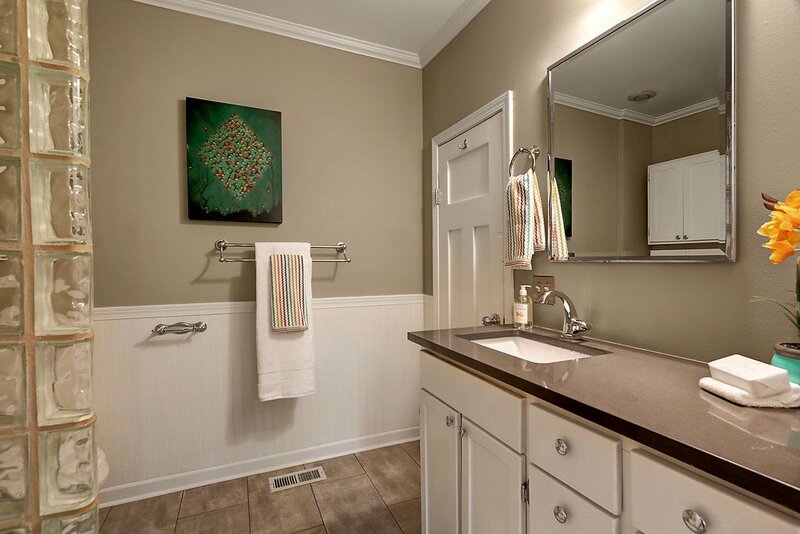 The bathroom was updated with tile accents and a new vanity with a quartz counter. 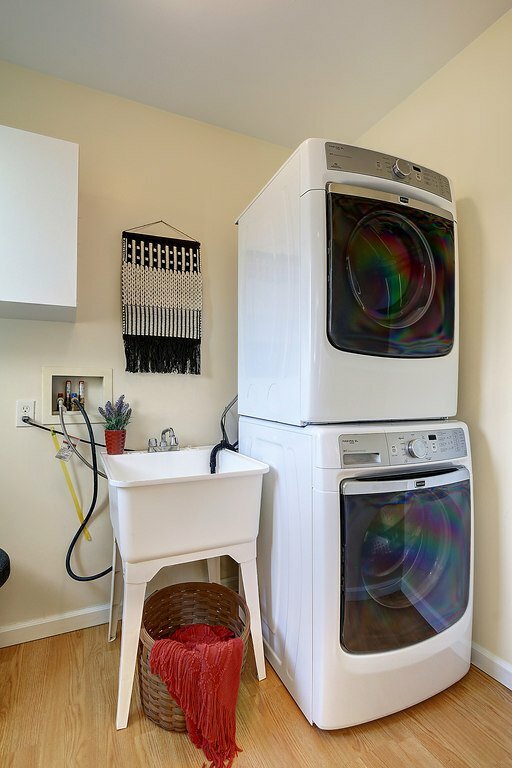 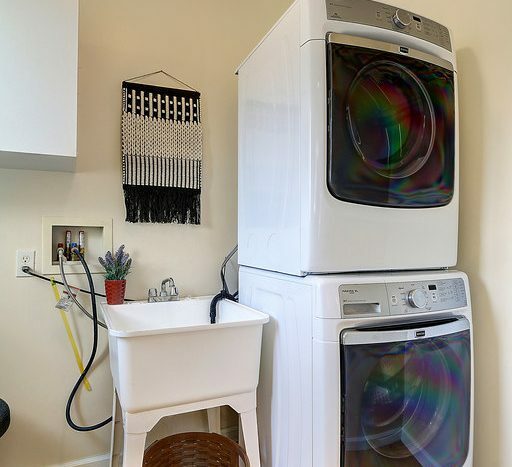 There is a separate utility room. 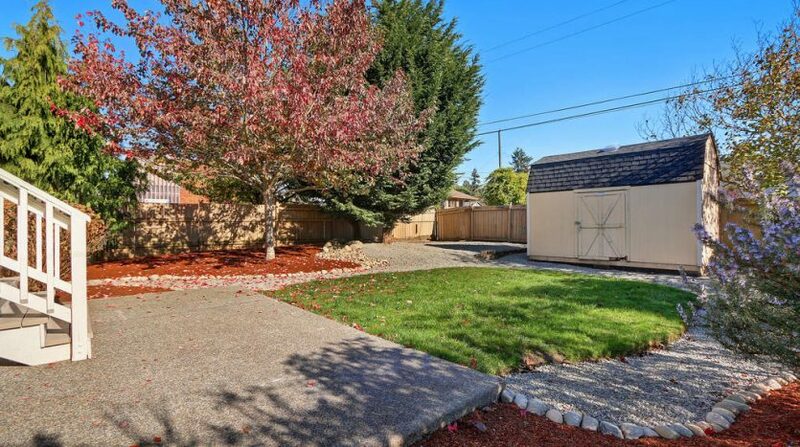 An unfinished basement for storage, and a shed for yard tools. 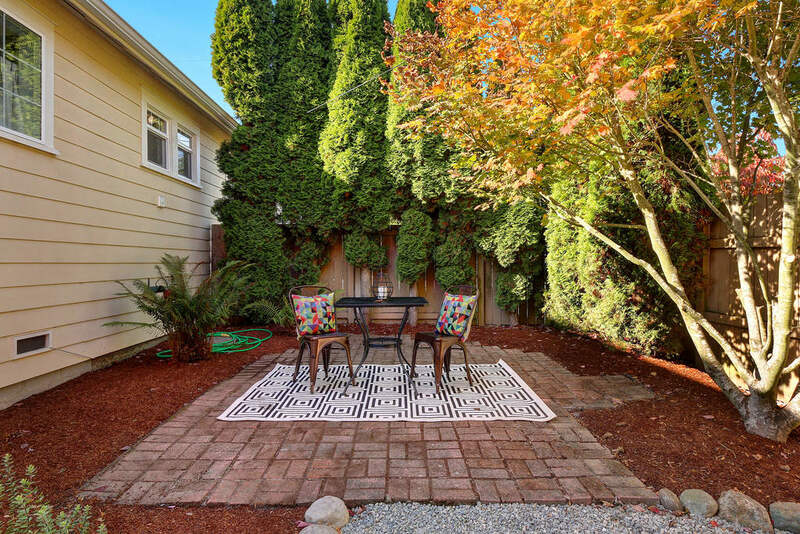 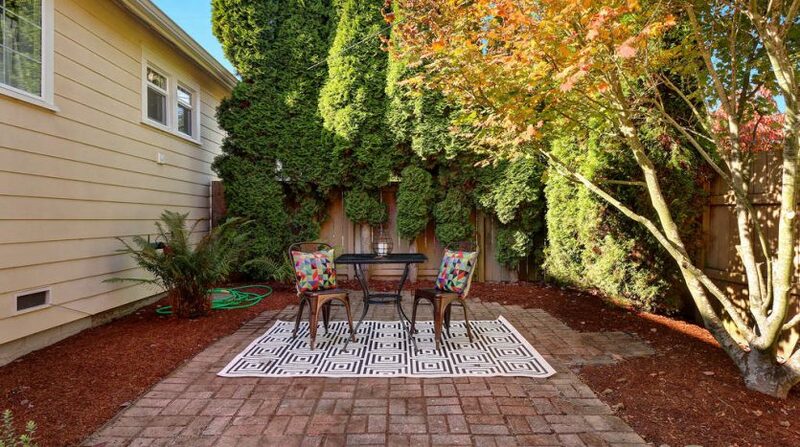 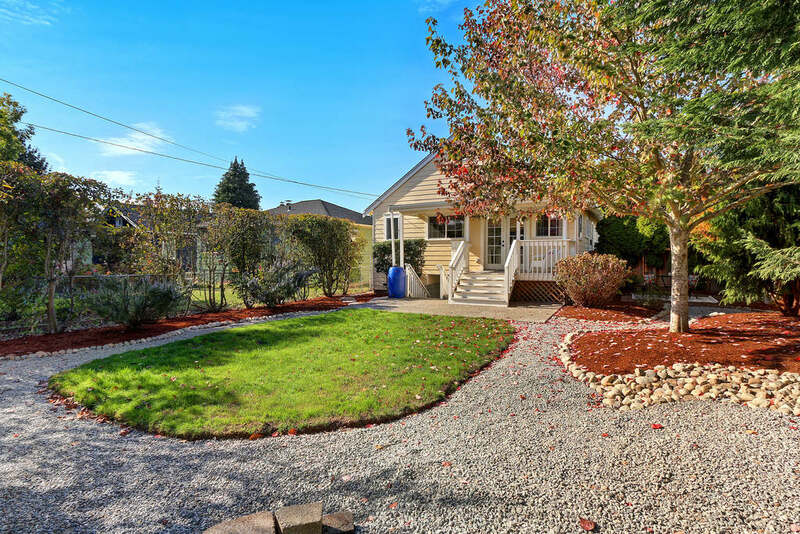 Large, partially fenced 6,000 ft2 corner lot nicely landscaped with plenty of sun for gardening. 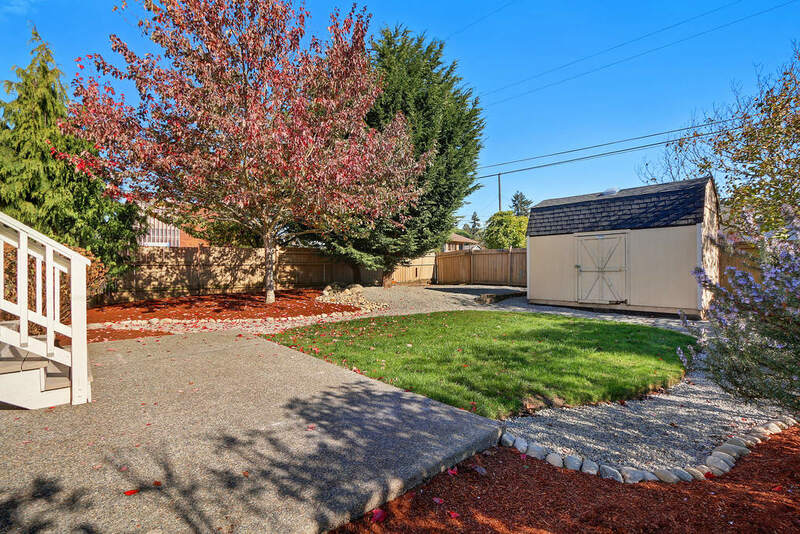 Lots of updates including a new sewer line, mostly redone plumbing and electric, and a 7-year-old roof.